10 Reasons Your Eyes are Bloodshot! - Something New Everyday! Home health 10 Reasons Your Eyes are Bloodshot! 10 Reasons Your Eyes are Bloodshot! Dry eyes become irritated and inflamed. In fact, it's this inflammation that is causing the redness. This eye condition is especially common in adults over 50, but it tends to affect younger people who spend a lot of their time looking at screens. This occurs because we do not blink as much when looking at a monitor. Other symptoms: Burning, stinging, and a gritty sort of feeling, as though something is in your eye. What to do: Tears can moisten your eyes, reducing inflammation and easing the redness. To prevent the problem from occurring, blink more often, especially when you are in front of a screen. You should also adopt the 20-20-20 rule to help reset your blinks, reducing dry-eye issues. So for every 20 minutes you are in front of a screen, focus on something 20 feet away from you for 20 seconds. If your eyes are chronically dry, best see a doctor. 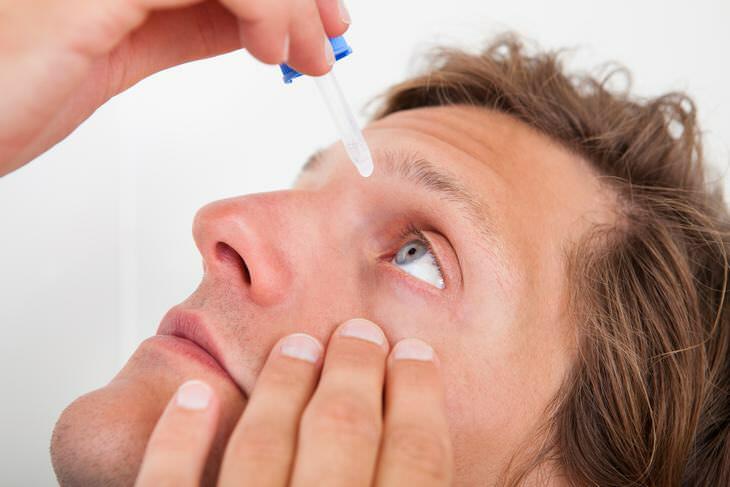 They might prescribe eye drops that reduce dryness-related inflammation. Pollen and grass may cause swelling and inflammation in the eyes, leading to redness. Allergies may also tend to make your eyes itchy. Consequently, you'll likely rub them more, leading to more inflammation and redness. What to do: Apply a cold compress to your eyes for 15 minutes several times a day and consult your primary care doctor to figure out the best way to keep your allergies under control. They may recommend antihistamines, decreasing your body's response to allergens and easing inflammation. But as antihistamines may make your eyes dry, you may have to use artificial tears to prevent dryness and redness. Besides antihistamines, sleeping pills, anti-anxiety medication and even pain relievers such as ibuprofen can cause dryness and redness. Furthermore, these medications can reduce blood flow to tissue in and around your eyes, making them dry and red. What to do: To get quick relief, opt for artificial tears. 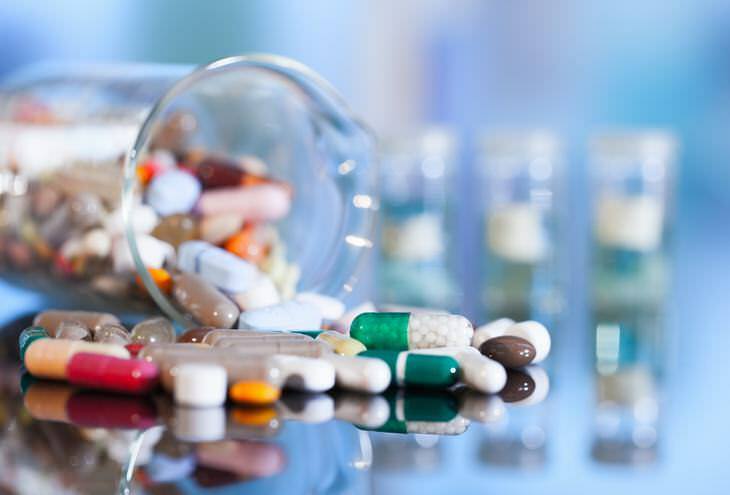 For long-term relief, talk with your doctor who prescribed the medication so that they may be able to adjust your dose, or offer an alternative prescription with fewer side effects. When your body is lacking on sleep, your eyes are likely to appear bloodshot in the morning. Your eyes need to be closed for an extended period of time so that your tear layers may regenerate and replenish. Loss of tears leads to redness. Other symptoms: Squinting. Your eye muscles need to recharge over night and if they don't get the rest that they need, you'll have a harder time focusing on things both close up and far off. What to do: Artificial tears can help you re-moisturize your parched tear layers. Aim to get up to 7 or 8 hours of sleep, keeping dryness at bay. 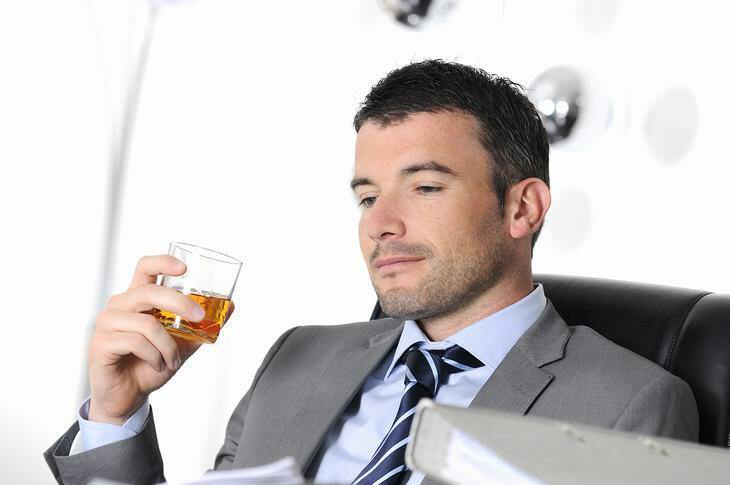 Alcohol causes your blood vessels to relax. Consequently, this allows more blood to flow through the vessels in your eyes so that they appear redder. Other symptoms: Headache, dehydration, nausea, and feeling like a wreck. What to do: Opt for an over-the-counter eye whitening drop like Visine. This constricts the blood vessels, which reduces blood flow to your eyes making them appear less red. The redness should dissipate within 15 minutes. With this in mind, you shouldn't go overboard with eye drops either - read on to discover more. 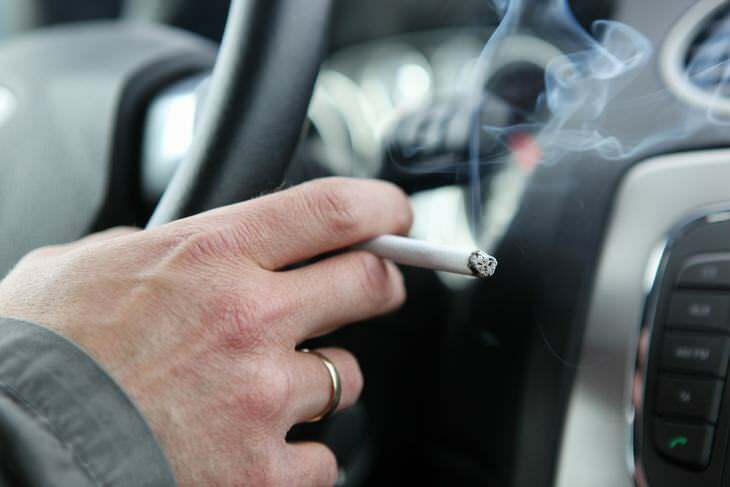 Cigarette smoke causes the blood vessels in your eyes to constrict, drying out the surface of your eyes. When your body senses the dryness and lack of blood flow, it tries to compensate by dilating your blood vessels, causing more redness. Other symptoms: Dryness may occur in the short term. In the long-term, blood vessel constricting effects of smoking (or exposure to second hand smoke) can increase your risk for macular degeneration and cataracts, causing vision loss and even blindness. What to do: Ideally, take the steps you need to quit smoking. If not, seek fresh air - your eyes should clear within an hour. This is contagious and can easily spread from one eye to the other just by rubbing your eyes. 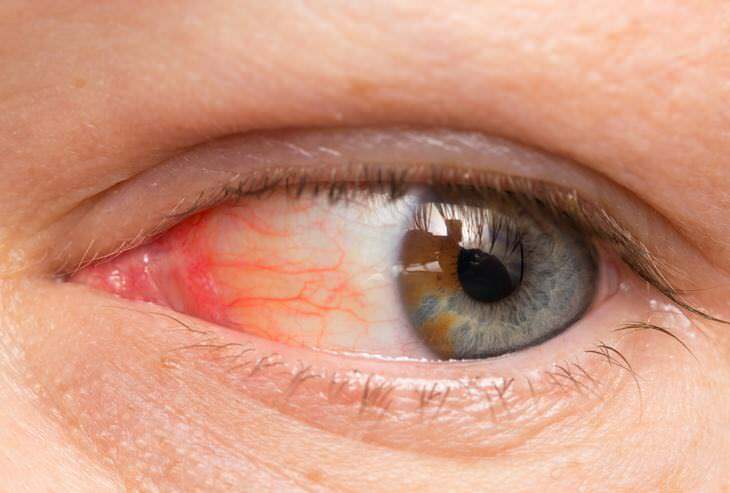 This infection causes inflammation in and around your eye, making it appear red and swollen. What to do: Go to your doctor and get your eyes examined in order to determine whether your pink eye is viral or bacterial. If it's viral, the best thing to do is to wait it out - unfortunately this may take two to three weeks. If it's bacterial your doctor will likely prescribe antibiotic eye drops, soothing your symptoms within a couple of days. The salt in ocean water will cause your eyes to dry, leading to redness. This may also occur in pools which contain chemicals like chlorine, killing off some of the good bacteria in your eyes, leading to irritation and redness. Other symptoms: Your eyes will likely feel irritated. What to do: Flush your eyes with a saline solution or artificial tears, washing out the irritating gunk and easing the redness. If you wore contacts while swimming, take them out and have them cleaned immediately. The next time you decide to take a swim wear goggles, keeping the salt and chemicals out of your eyes. 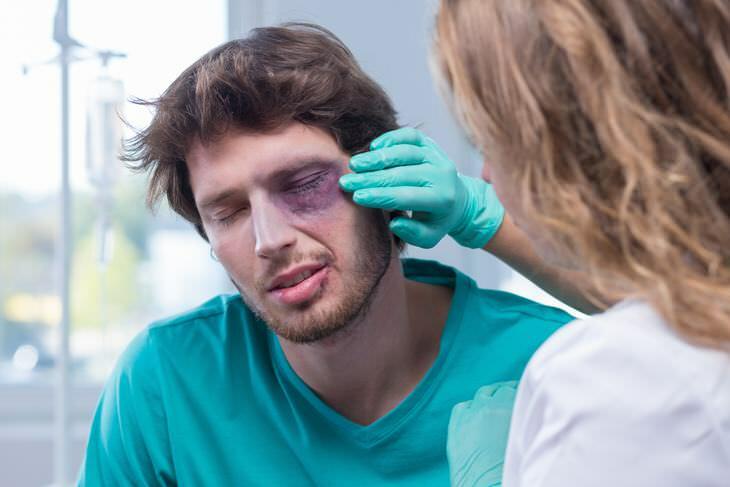 Popping a blood vessel can occur if you were straining, like coughing intensely, or if you slept in a weird position putting a lot of pressure on your eye. It may also occur if you've experienced some kind of trauma - such as getting punched or being in a car accident. When a blood vessel bursts, blood tends to get trapped under the surface of your eye causing a bright red splotch, turning the entire white of your eye blood red. While it may sound serious, it actually isn't. Other symptoms: Popped blood vessels don't hurt, though your eye might feel slightly heavy from the extra blood. What to do: This type of redness tends to go away by itself within a week. Eye whitening drops can make your red eye problem worse. The drops work by constricting the blood vessels in your eyes, reducing blood flow. Furthermore, when you use drops on a regular basis, your body will adapt to the drops. When you stop, you end up getting a rebound effect where your blood vessels dilate, causing your eyes to look red. Other symptoms: Symptoms tend to vary depending on the underlying issue that's making your eyes red (see above). What to do: Use eye whitening drops once in a while, but refrain from using them every day for weeks at a time. If your symptoms of dry eyes persist, see a doctor to determine the real cause of redness.